Muffins are my kids favorite and so its easier to sneak in any sort of fruits into these and they will surely grab & gulp it for sure.How about a healthy version of muffins with fresh apples,whole wheat and an eggless version for all vegans and weight watchers,Interesting right? 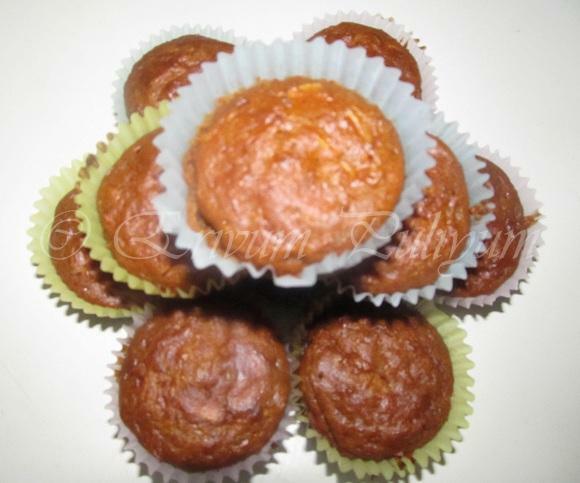 This is a simple muffin recipe with all good health benefits.These muffins are denser and filling muffins,can be had for breakfast too.Hope you will give this a try,friends !! -Wash apples,peel and cored ,shred the apples and keep aside.Mix with the lime juice to prevent browning. -Mix the baking soda in the yogurt and wait till the froth appears. -Stir all the dry ingredients, and mix well. -Add in the liquid ingredients,vanilla extract and whisk together.Fold in the raisins and almond slices. -Pre heat oven to 350 degrees F and grease the paper liner cups with oil and arrange in the muffin pan. -Scoop and pour about 2/3 rd of the baking cup.Place in the middle of the oven & bake for 25-30 minutes or till tooth pick inserted comes out clean. -Cool on wire rack and serve cool !! * You can use all purpose flour ,instead of whole wheat flour if you are comfortable that way. * The yogurt should be mixed in a larger bowl so that it doesn't froth when mixed with baking soda and fall out. 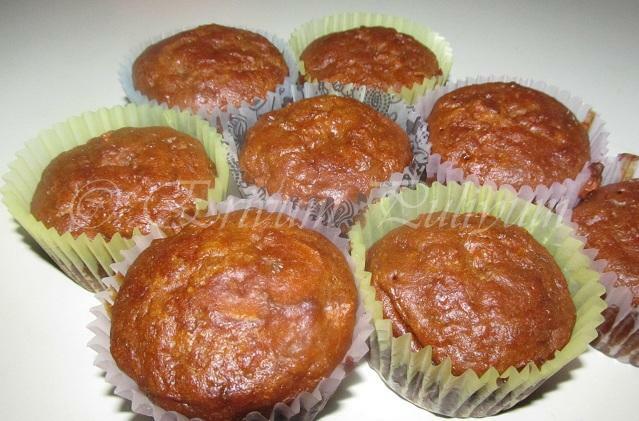 Superb muffins - aromatic, yummy and healthy! 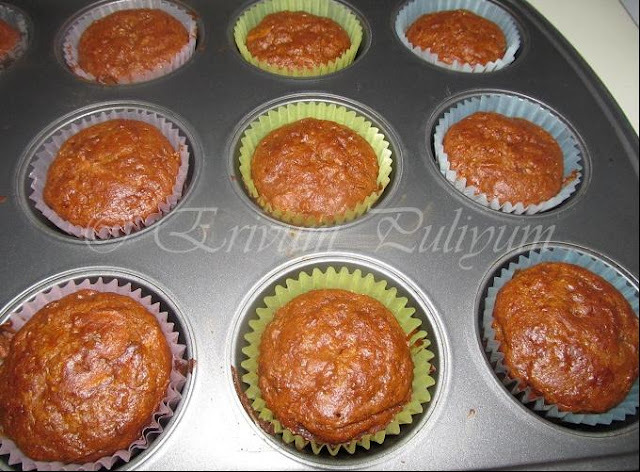 Superb Julie, I've also posted today, eggless muffins, but bananas..
mmm... I love apple in the form of baked. Loved these muffins. Perfectly baked. I am not a big fan of whole wheat flour, but after having a look-see at your muffins, looks like I need to give it a try! came out so spongy and fluffy..
Yum muffin with whole wheat. thanks for linking to the event...u have used 4 listed ingredients n sure this is a challenging one!! Egg less whole wheat muffins with apple looks yummy and surely a healthy version! This is great for kids..love that they are whole wheat! Looks moist and soft! Yummy! 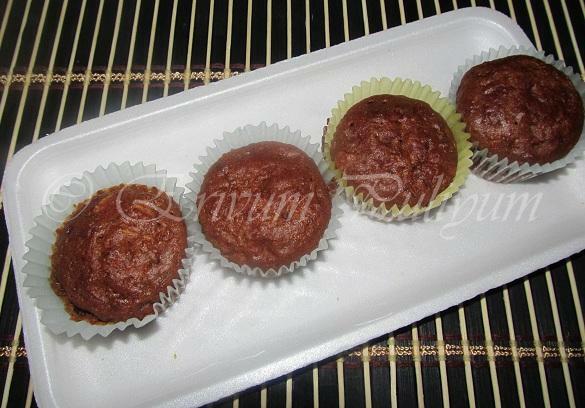 Luv to try this muffin..i made similar for new yr...yum and healthy too. Whole what anything is great to make isn't it. It makes me less guilty in having all those yummy desserts. Thanks for trying out the masala peanuts. Its fine to add water as needed because each microwave has a different heating power and some might be very powerful and require the extra liquid. I hope you enjoyed the snack. wow Julie, I really admire your super healthy recipes. I tried being your follower the very first time i visited your space, but somehow..the process didnt work. Hope i am a loyal follower of yours by now. :) . yummm....d muffins luk great and healthy too !!! Apple Cinnamon is an all time hit combo and then going egg-less with them is just wow!! A healthy and yet delicious looking muffins! No eggs;wow! they turned really nice. @ Sangee:Thanx dear,i could make this for your event..glad that u liked it!! @ teflonfrypan :I didn't find u dear,Hope U'll follow my space publicly! I love apple muffins and without eggs they turned out really fluffy! Very healthy n Fruity Combo Muffins. Luks moist n a soft bake. Very healthy flavorful yummy miffin. Thanks for linking my event Dear..